In the NBA Playoffs, players must deliver, or someone else will step up and take their place. This truth is unfortunately too familiar to New York Knicks’ J.R. Smith who is facing the bench after struggling to score in recent games. The winner of the NBA Sixth Man Award scored just 8 points from 3-for-15 against the Indiana Pacers in Game 2 and missed 11-of-15 in the first game. Knicks coach Mike Woodson is too frank when he suggested that he will “gauge J.R.” as they go along, in favor of the other players on the bench. “”I’ll gauge J.R. as we go along and if I feel he’s not giving me anything, I could always turn to other guys on that bench.”, Mr. Woodson said on a radio interview. 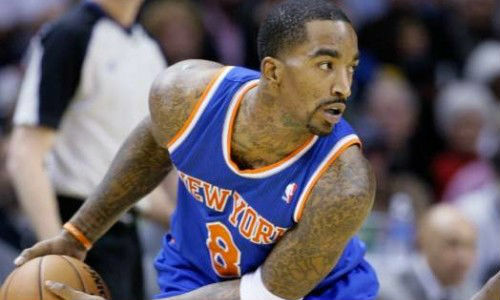 The solution for J.R Smith is in his own head, advises Manhattan Orthopedic Care’s physician Dr. Armin Tehrany. According to Dr. Tehrany, J.R. Smith needs to work on his self-esteem and concentration. The shooting will improve with it. It is an unusual situation both for J.R. Smith and for the Knicks who do not need an out-of-form player, especially not now when they battle Indiana with few player missing to illness and injuries. Kenyon Martin and Iman Shumpert are both questionable for Game 5, and although Amar’e Stoudemire is back after two months, the surgery on his both knees is limiting him to just 10 to 15 minutes per game. You can follow every NBA injury via MOC’s NBA Injury Watch interactive infographic, created with data from NBA.com. This entry was tagged Dr. Armin Tehrany, Manhattan Orthopedic Care, MOC, NBA, NBA draft, New York orthopaedic, NY orthopeadic care, rotator cuff surgery, shoulder injury, shoulder specialists. Bookmark the permalink.